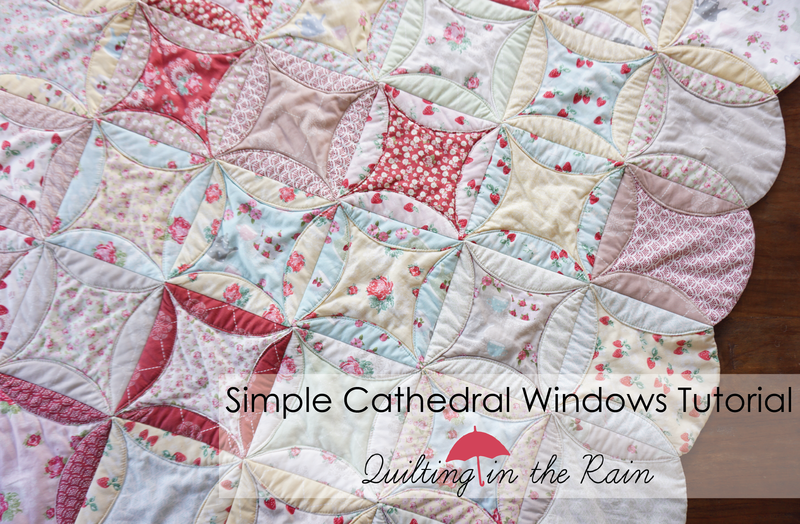 This is a simple Cathedral Windows quilt tutorial that uses circles and is also Quilt As-You-Go! 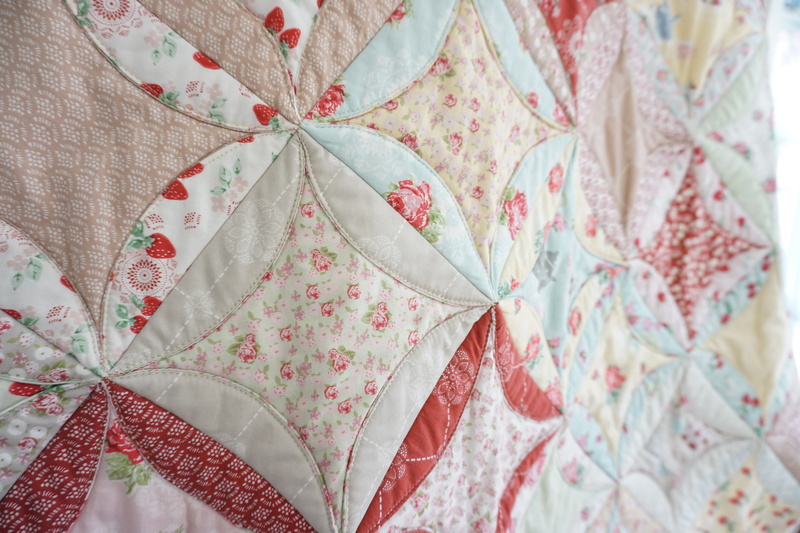 I really enjoyed making this quilt – it’s refreshing to make something different from your traditional patchwork quilt for a change. It comes together fast and beautifully! 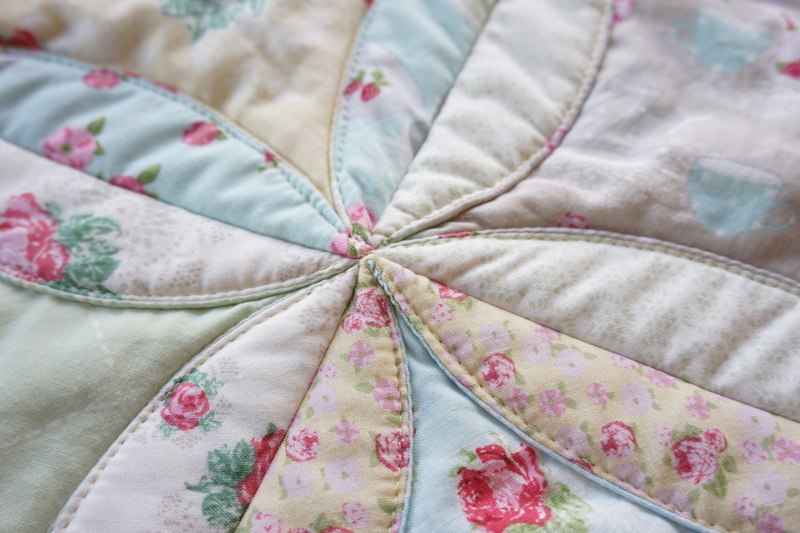 Simply prepare your circles and then sew them together, and no binding needed! Please scroll down to see my tutorial, which is comprised of 7 steps: steps 1 through 6 are video tutorials, and the last step are photos. The fabrics in this quilt are from my new High Tea Collection for Lecien Fabrics, available for shops to order this Spring and in stores this Summer, August 2016! 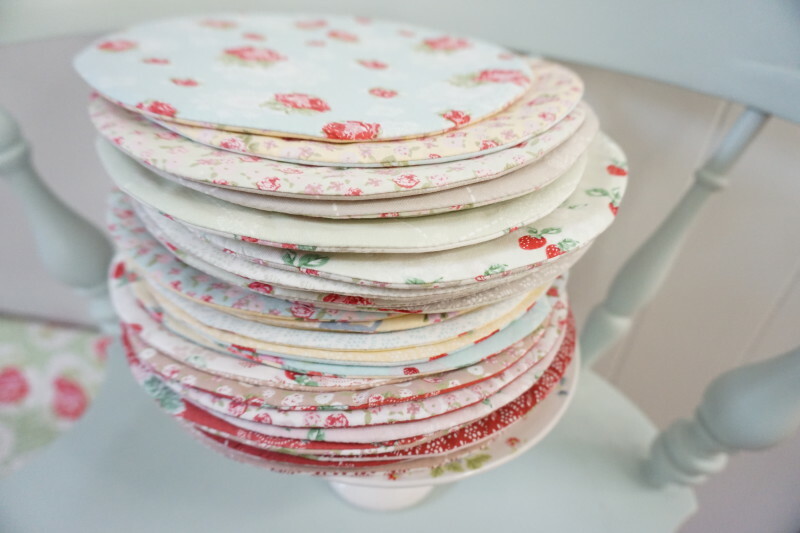 Inspired by my love of vintage china and tea cups, my High Tea fabrics are a delicate, soft and romantic collection. My High Tea collection has a total of 36 prints, so I decided to make this a 6×6 quilt (6 rows with 6 circles in each row). This size makes a great wall-hanging or baby quilt that measures approximately 37″x37″. Here is how the back looks. 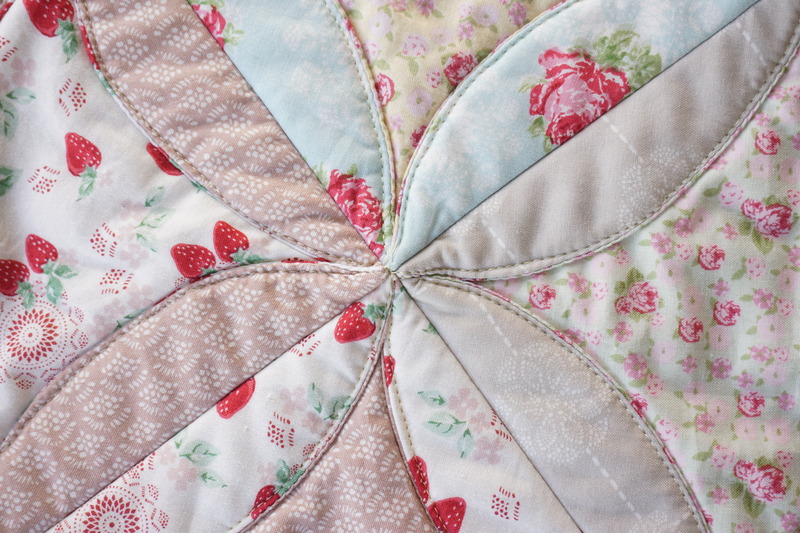 I love the quilted petal pattern on the back that is easy to achieve by simply stitching the circle edges down on the front of the quilt. This is explained in the last step of my tutorial. Step 1 – Cutting: cut thirty-six (36) 9″ batting circles, and seventy-two (72) 9″ fabric circles. Layer for quicker cutting. To quickly complete the cutting, I used a 9″ paper plate as a cutting template, a rotating cutting mat by Fiskars, and a 60mm rotary cutter. Watch my video to see how I did it! Step 2 – Sew the Circles: Next, sew thirty-six (36) padded circles, or “pancakes” as I like to call them =) Make sure to cut a hole in the front! 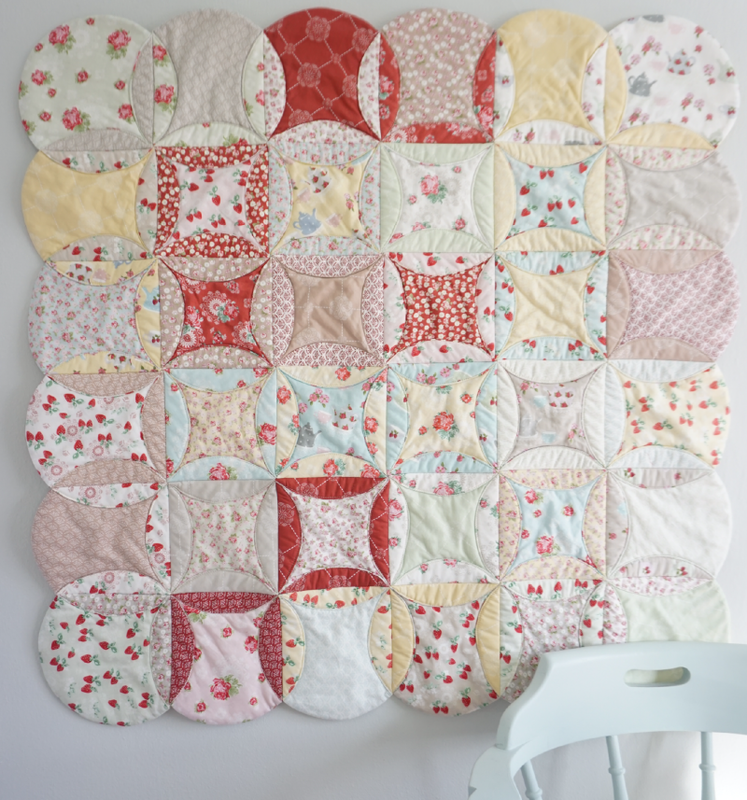 Step 3 – Make a Square Template: Sew all 36 of your circles (or pancakes) as shown in step 2, above. Then, prepare a 6″ square template for marking your circles. 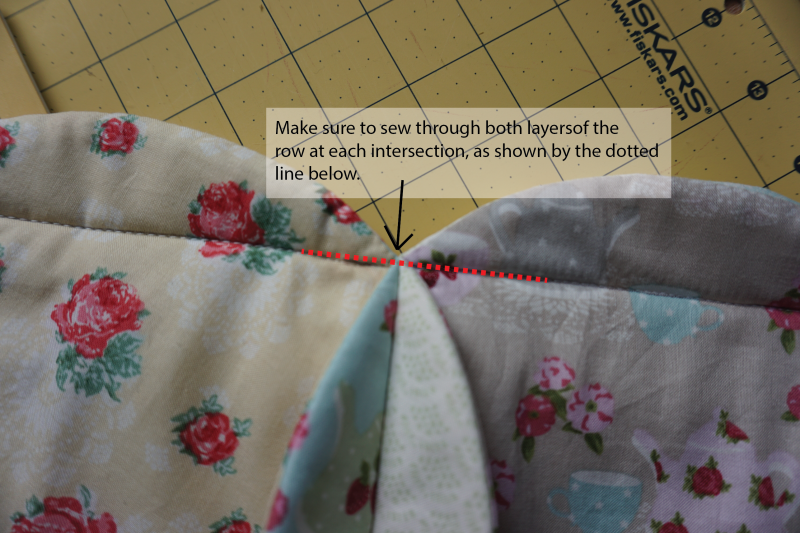 My video shows how to account for any seam allowance discrepancies, so be sure to watch. Step 4 – Properly Mark your Circles: First, arrange all 36 circles on the floor in a 6×6 formation (6 rows with 6 circles in each row). Make sure the holes (where you turned the circles right-side-out) are facing up. Then, watch my video below on how to properly mark the circles using the square template. Mark the side of the circle that has the hole. Only mark the sides where you will be sewing and folding the edges. Or in other words, do not mark on the outer edges of your quilt where binding would be if this were a traditional quilt. If this sounds confusing, please watch the video for a better explanation. Hide the holes! When marking, keep in mind where the hole is to make sure it eventually gets hidden. Step 5 – Sew each circle within each row together: Watch my video on how to pin and sew your circles within each row together. Step 6 – Sew the Rows Together: Watch my video on how to assemble the rows. Make sure the intersections are sewn down. Clarification: in my video above I said to make sure to “sew through all 4 layers at each intersection,” and then drifted out of the frame when trying to show it up-close, lol.” This was (obviously) my first go at a video tutorial! ;-p What I meant to say is to make sure to sew through both layers of the row at each intersection. Please see my photo below for clarification. Sorry for any confusion! Step 7 – Top Stitch the Petals down: Iron the petals down so they are laying flat, then top stitch them down. I don’t have a video for this, but below are some up-close photos of how it looks after I stitched them down. I simply guided my walking foot along the edge of the petals to stitch them down, using a 3.5 stitch length. Depending on your sewing machine, you may want to use a walking foot for this part. Start and end your stitch with a back-stitch. I started with a corner circle and stitched all the petals within that circle down, then made my way to the next circle. In most cases, I was able to do continuous quilting from one circle to the next without having to end a stitch and lift my presser foot. However, whenever I came to a point where I couldn’t continuously quilt into the next circle, I simply ended that stitch with 2 back-stitches, lifted my presser foot, then re-positioned the quilt so I could continue stitching down the petals within each circle. 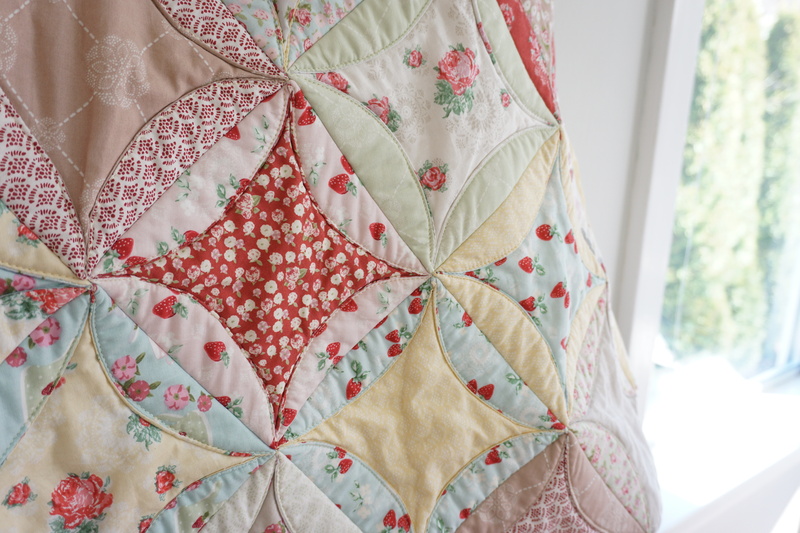 I hope you enjoyed my first video tutorial, and my first quilt that I made using my own fabrics! =) If you make this, don’t forget to tag me on instagram! Seeing your projects makes the time spent doing this tutorial all worth it! Why even comment if you’re just going to be a troll? This is absolutely gorgeous! I love your fabric selection. And what a great tutorial – that had to be a lot of work! 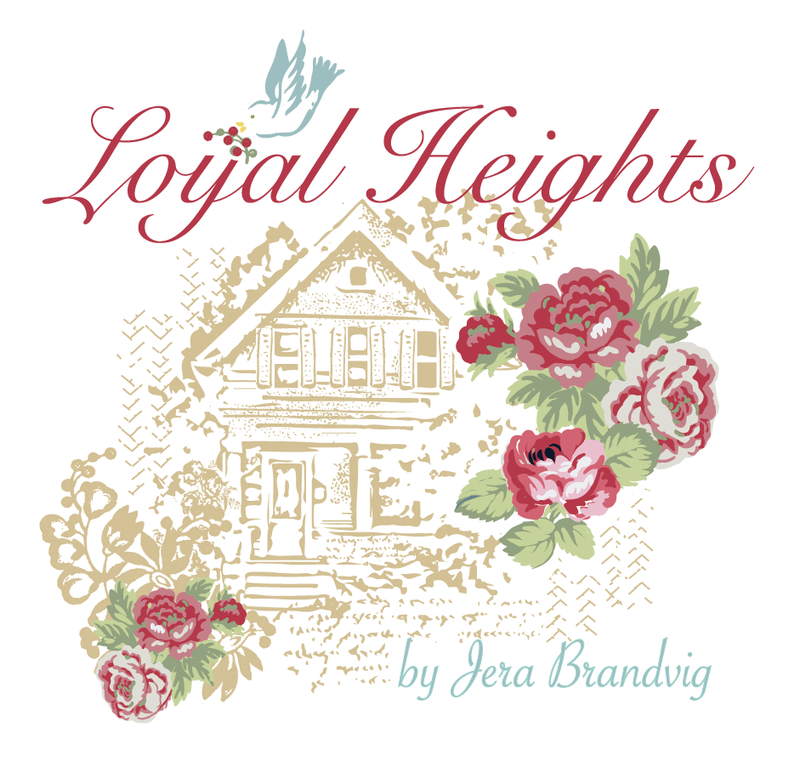 Thanks Jera, I am looking forward to the release of your beautiful fabric line. Thank you for your kind words! happy quilting! Oh, my, gosh!!! This is even more doable than I originally thought. The fabric line is gorgeous and I hope I have access to your fabric. You did an excellent job of communicating the necessary information for this quilt to be a success. Thanks so much! i love cathedral windows quilts and have always wanted to make one. Thank you! I’m going to do it! awwwe thank you so much for your kind words! happy quilting! Excellent tutorial and your fabric line is gorgeous! Thanks for sharing. you are very welcome – thanks for the kind comment =) happy quilting! Nice job with the tutorial! Never would have guess it was your first. Can’t wait to try this design. Thank you. lol, thank you! my baby boy woke up just in time 😉 happy quilting! Great tutorial and your very first video. I am impressed, you did a great job. Thank you for taking the time to show us how. So sweet to hear your baby waking up. I like your fabric line also, very pretty. I will have to look for it when it comes out. My kind of fabric. Thanks again Diane. Awwe thanks – and yes, my sweet baby boy woke up just in time. =) Thank you for your kind comment – take care and happy quilting! Love this , thank you so much for the detailed tutorial. I have made two throws from your book so far. Everything is so easy to understand. I can hardly wait to see the next one. When I make this I will link back to your blog. that is wonderful to hear – thank you so much for your kind words! happy quilting! Excellent! Cannot wait to try! 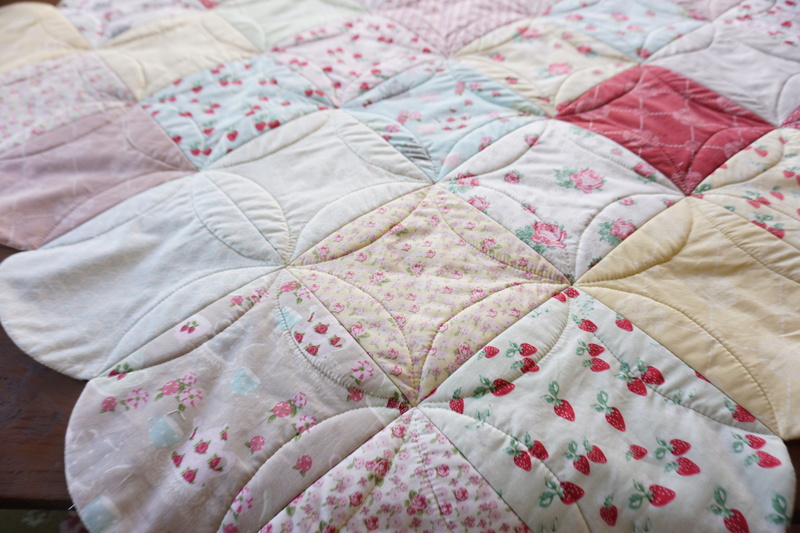 This is a lovely quilt and your easy-to-follow tutorials are very well done! You sure inspired me: I can’t wait to try this out. makes doing the tutorial all worth it – thank you! What a nice informative tutorial, you would never think it was your first. 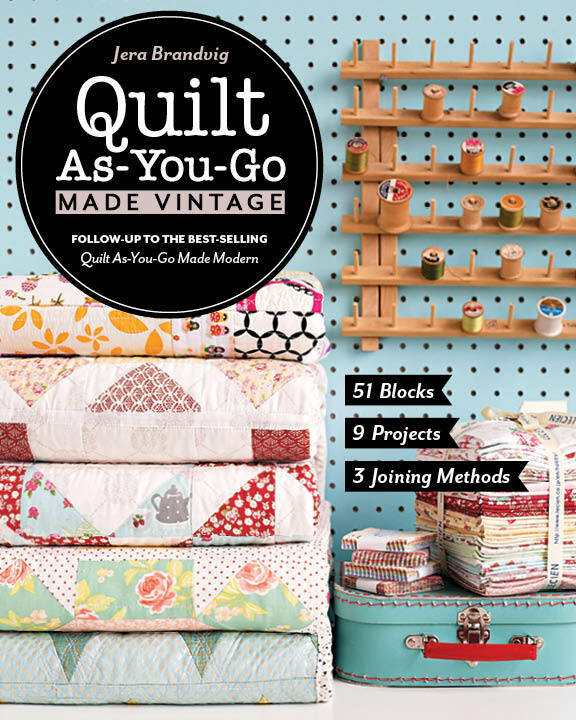 I can’t wait to try making this quilt! I come from a long line of quilters who have made so many quilts, but never thought I could make the cathedral quilt, but thanks to you, I am going to give this one a try! Wonderful – thank you for your kind words! thank you so much for your kind comment =) happy quilting! I enjoy your tutorial and love the material line. Great Job! Very detailed “Simple Cathedral Windows Tutorial”. Saved and will revisit to make this as my next quilt. Love the material too! Thanks for sharing! I love this and would like to make it with your new line. I will look for it this summer! This is so beautiful. The tutorial is great!! What a big tease you are…that we have to wait until August to get your beautiful fabric. That’s not fair!!! WOW… can’t wait to give this a try. i’ve done cathedral windows the “traditional” way and this seems so much funner… AND easier. 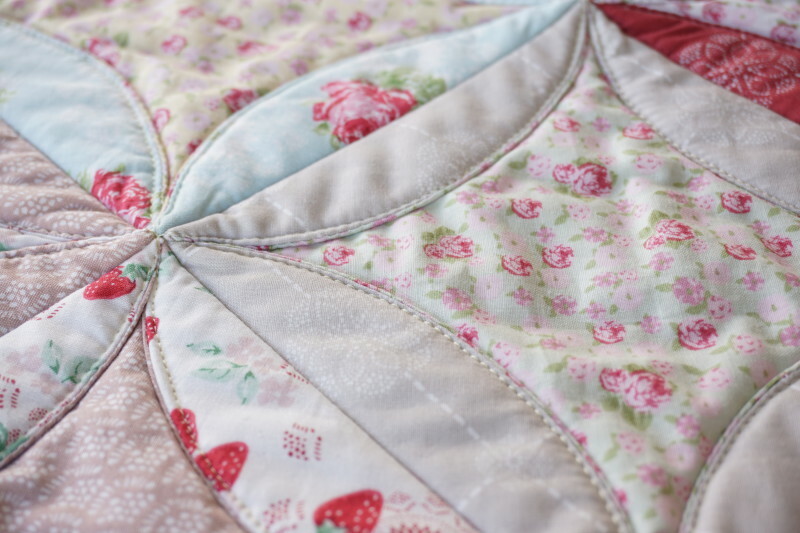 the bonus is the fact that it’s not only a quilt as you go but you also don’t have any binding to do at the end. a HUGE win-win. thnx so much for sharing!! Thank you so much for sharing this. I’ve always loved Cathedral Windows but have been discouraged by the hand work doing it the traditional way. Your way looks so much easier!! I would love to make this quilt. I have always wanted to. I think I would just make the circles a little smaller–do you think it would work out with smaller circles? Have you made smaller ones? I can’t wait to make this quilt! Your instructions were absolutely the best I have ever seen! Nicely done. Looking forward to your next video. 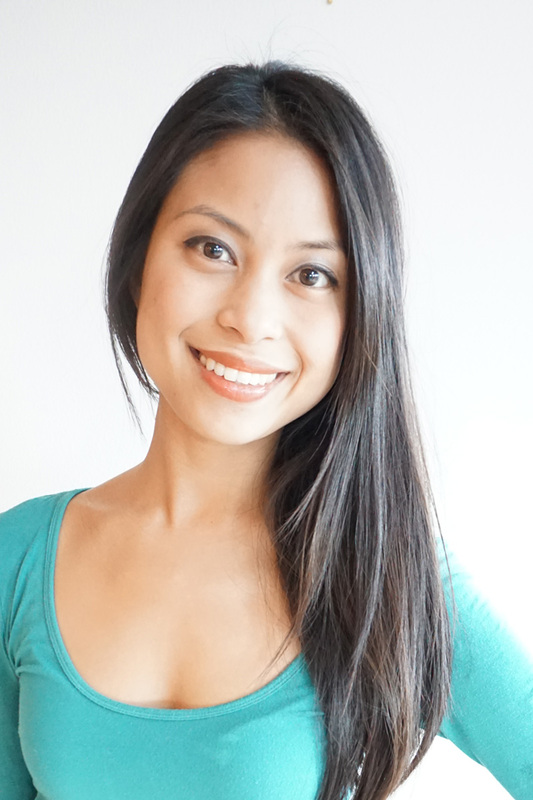 No need to belittle her- give her a break for great for great videos and tutorial. I really liked the tutorial. Some people need things repeated to really get it!!! If you don’t need extra repeats, just skip through it and folks who need repeats aren’t left behind. I’m going to make one very soon–as soon as my machine returns from the repair man because I caught my left pointer finger in the bobbin mechanism of a Bernina 880 and messed up the bobbin someway!! Who knew your finger could get caught when the bobbin started flipping to the back when it shouldn’t have? If you don’t like the comment, then don’t read it! denise prince YOU can go somewhere else. Very nice explanation! Thank you! This makes a nice, pretty, cozy quilt and easy. Just an inspiring tutorial! Loving the High Tea fabric, will be ordering that for sure. This is a refreshing change, I am for sure making this! No special rulers either! Great job! What a beautiful quilt! The videos were very clear & I enjoyed them. This will be my next baby quilt. If I feel brave I might even try a larger one! I absolutely love this quilt! I’ve been wanting to try a quilt as you go project and this is it! Your tutorials were great. I like them in segments….and I have to get some of that beautiful fabric! I too have a love for the rose tea prints i now need to find your fabric collection! Loved your tutorial! Your fabric of tea prints is on my “wish list.” Thanks for sharing. Excellent tutorial; Beautiful fabric line. Please do not change your presentation in any way. To Susie: In school classrooms, repeating is absolutely necessary in order for all of the students to understand. Also, repetition is so prevalent in the Bible; therefore, I think it sets the standard. I really have to say that High Tea is the most beautiful line of fabrics, I just love it! I want to make a crocheted quilt, as I love both crochet and quilting, and think it really looks gorgeous together with the delicate joining stitches, pretty. Love the line and would love to get some yardage and precuts when available. Thanks my email is Tlmiam1@yahoo.com. Sincerely, Tracy. I’m so excited to get started! Do you wash your material first before cutting? I have the perfect fabric collection for this quilt. Think I may use a variegated thread for all the stitching that will show!! I have your book and really love it! Jera, what a wonderful (and patient) teacher you are. 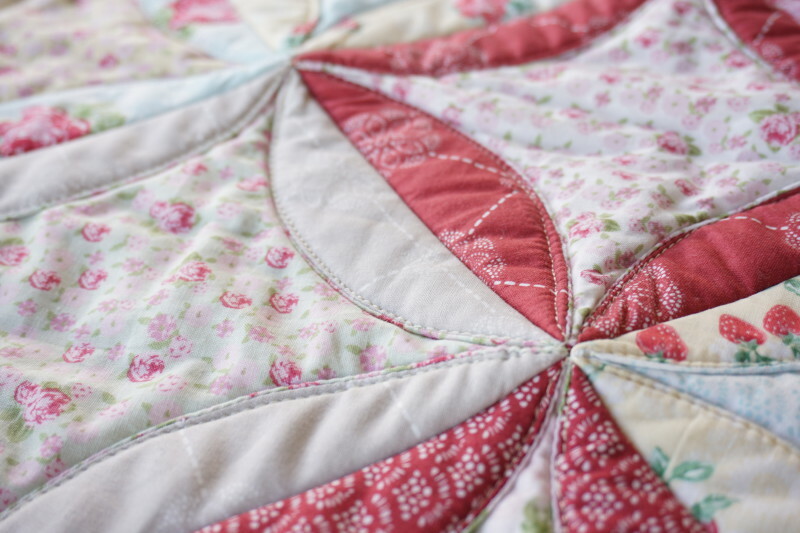 Like everyone else, I love your fabric line — it is perfect for this quilt. You made this look so easy to do and I can’t wait to give it a try. I look forward to anything you might do in the future. You are just “a delight”. Thank you so very much !! Loved the tutorial. Great work and beautiful quilt. Jera, This is gelightful, thank you millions!! Really anxious to make this & locate your fabric line. Best wishes in your endeavors ? I wish you had not called this a cathedral window. If you had ever seen one beautifully done, you would call this something else. Your quilt is beautiful, but it is not a patch on a real cathedral window quilt. I have been working on one fro a while. Completely by hand. Please call it a cathedral window look alike. I have sewed one by hand too, it too me a long time because I couldn’t make the time to finish it in between multiple moves and such. I am sure the hand sewed ones are prettier and better, but for people who just don’t have the time to do it by hand, this is a good substitute. Well done! You gave excellent instruction. I hope to make this quilt soon! LOVE IT! So beautiful using your High Tea Collection and you did very well on your first tutorial. Can’t wait to get mine made! Happy Quilting! I love your cathedral window quilt and your tutorial was great. One question. How do you think it would look to do an additional semi circle stitch to finish the edges so that the design on the back is complete. Or do you think it would make the front look weird? For a first video tut you did a grand job. 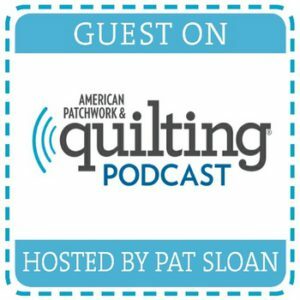 As a newby quilter I thought it was very detailed & well-explained – thank you!! Thanks for the tutorial! Can’t wait to try this cathedral window QAYG. 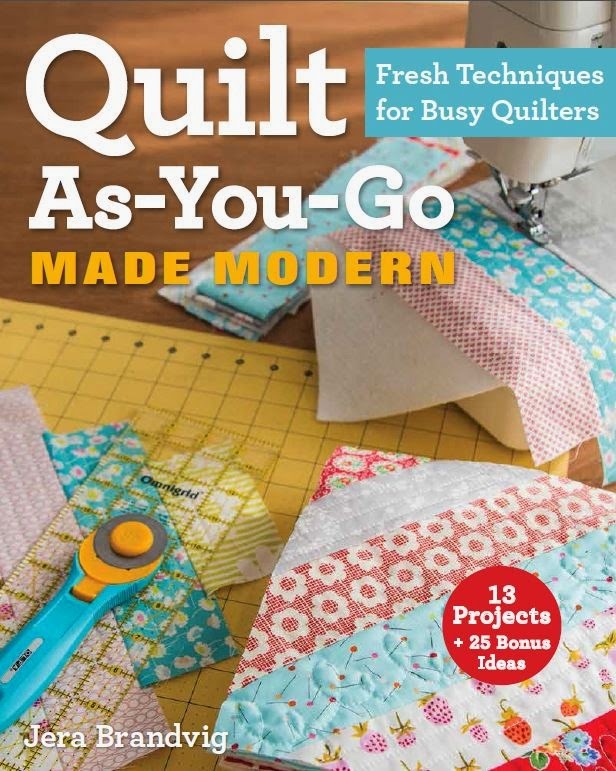 I’ve already worked through two quilts in your book and it’s great fun! I love this quilt. Thank you for the tutorial! Great tutorial. Love your fabrics too. Thanks. Hope you do more of these. I am an older well seasoned quilter. This is the BEST tutorial I have ever watched. I especially liked it because you did not have any background music and your instructions were clear and concise and not filled with needless jabbering. Thank you so much for sharing your lovely work and skills. I just discovered your tutorials and I think you are a great teacher! 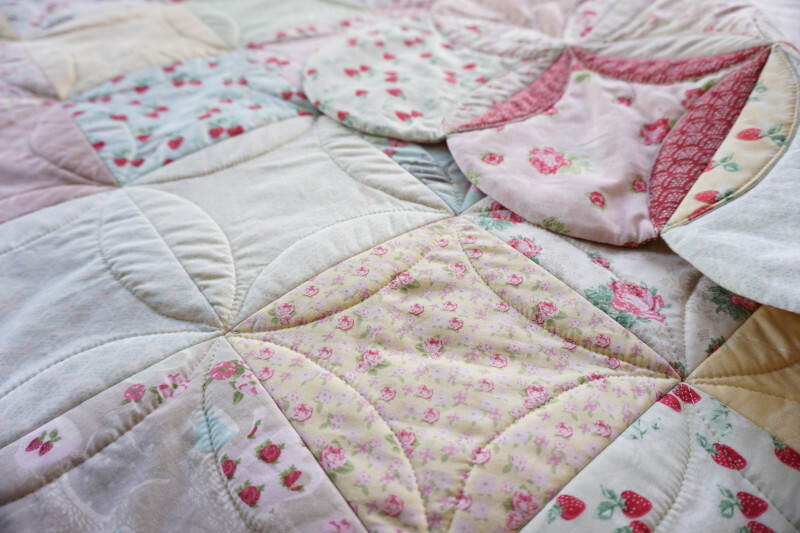 I’m planning to make this quilt and lots more from your blog. I have ordered some of your fabric and am getting your book. I can’t wait until Sept. for your new book to come out!!! Thank you!!! 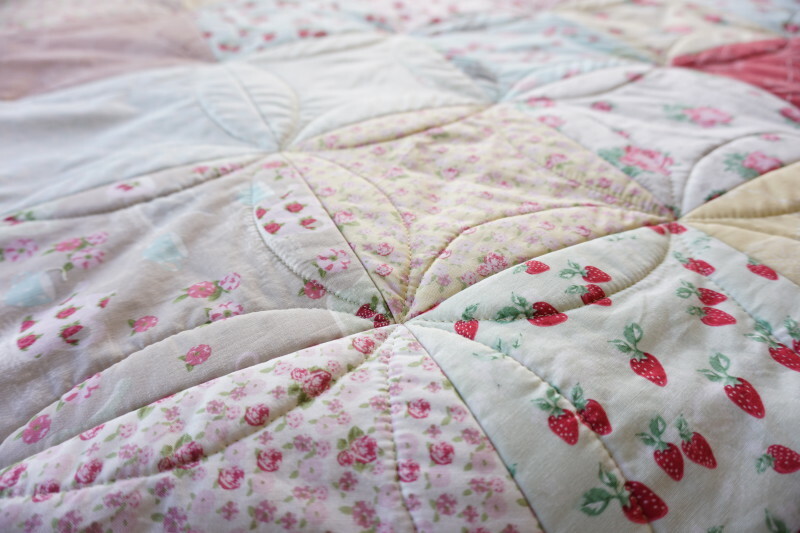 I have had a troubled and disappointing experience with this quilt, sad to say. If I ever did it again (not) I would use flannel for the center fill. I would also draw circles on fabric and then sew, as my circles were not all the same. Quilting it was also very difficult and I am quite experienced. My beautiful fabrics now wasted, oh dear. I am in my 60’s and love quirky, different quilts. 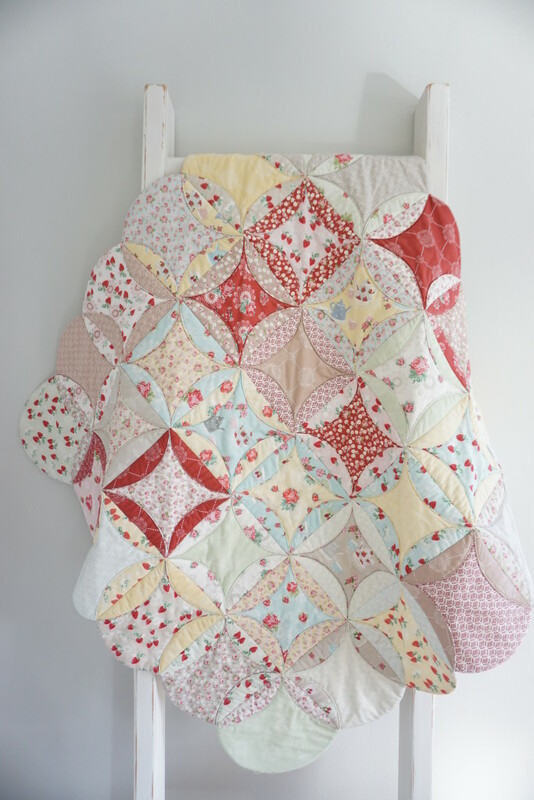 This quilt is quite beautiful and your tutorial is excellent. Thank you for prefacing your instructions/steps. It sure makes it easier for those of us who have trouble remembering some of the little details. Great job and I look forward to seeing more of your video tutorials. BTW I have purchased both of your books. (one will arrive in Sept). I have made two quilts from your first book. I really love the QAYG technique. How cool is that! Thank you for showingt! Love it!! Wow…love this….this just might get me back into the quilting mode…but how do we figure how much fabric we need? The first task is to decide how big you want it. I like the idea of a 10 inch stacker because then you get every piece in the line (make sure it says one from each piece in the line) when you order or buy it. If not take a piece of any yardage you have and figure out how many circles you get per yard (remembering there is a back too) Then estimate that plus a half yard. Never find yourself short! 🙂 Now I would not use one piece as I like variety, so figure how much you need for each circle and figure how many circles you want front ( and back ) from each fabric. Then decide. It depends on what you want! I think that is why she didn’t say! (I like the 10 inch stacker idea) . 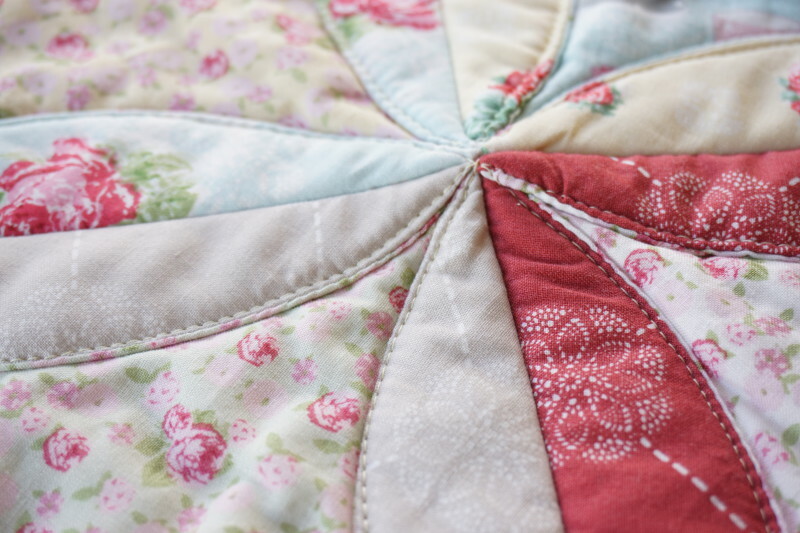 Very Nice quilting tutorial! I like things repeated a lot, so maybe suzy doesn’t need a tutorial. You are very sweet! Love seeing pictures of your kids and dog! I have your book, and until I can get your fabric I will make your Cathedral Window from a Christmas layer cake. I too have made one by hand, very time consuming, ended up with a wall hanging. This looks fun and simple with your tutorial! You are one of the emails I never delete without taking a look see!! Keep inspiring us with your ideas! tutorial. 🙂 This was just what I needed to get me going again….it is sooo cute, different and you make it look so easy & fun to do. I, also, really love your fabric and will be looking for it and read you have a couple of books out, too. This opened up a whole new world for me. A huge thank you and hope you do more tutorials……you have a great style, Jera. Thank you so much for your kind message! 🙂 Take care! 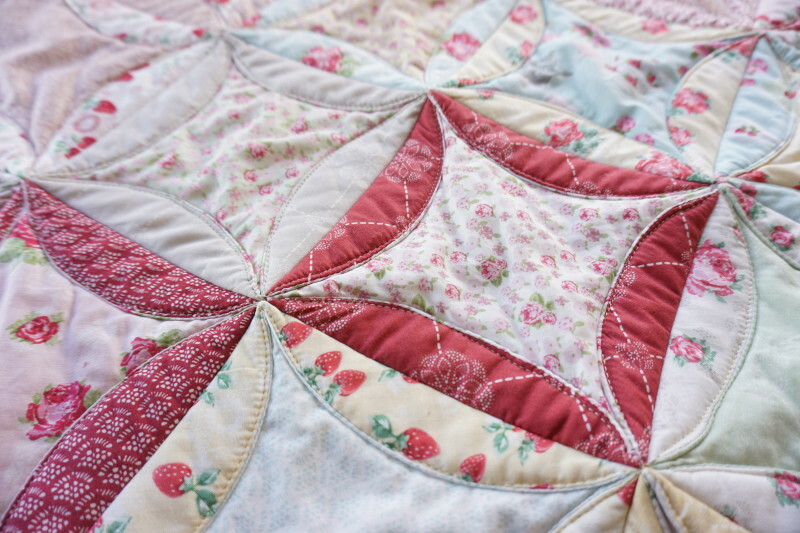 Is it difficult to manipulate the entire quilt in the machine when doing the top quilting? I was thinking to make it a bit bigger and I don’t want to run into any trouble moving the fabric in the machine. Thanks for the tutorial!!! Hey, my intersections are very thick. Should I cut the threads between the fabrics on the horizontal axis?or will they become less bulky as I sew the petals down?? Thank you! This is a pattern I really wanted to make but it looked too hard. Now after watching your video I think this is possible for me to do. Thank you so much for clearly explaining this technique. I am also impressed with how clean your sewing area is. I need to go clean my room and get started. Fortunately I acquired some batting circles several years ago and held on to them because I knew they would be good for something. I was thinking placemats, but cathedral windows here I come! Again great, clear video. I just finished making my own quilt with this tutorial. You did a great job. My quilt isn’t quite as precise as yours, but it’s super cool. Thank you so much! 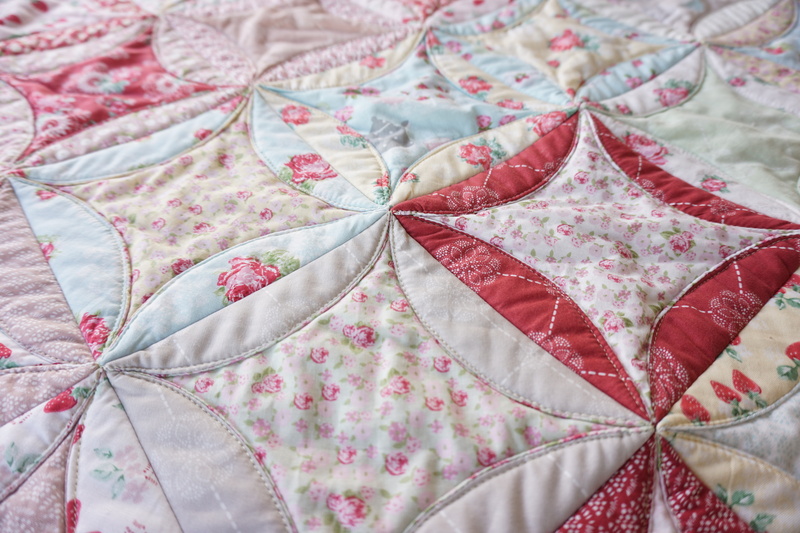 I have had the circles for one of these quilts all cut and sewed but did not sew the circles together in rows because it scared me! I’ve watched your video and think I am now ready to tackle putting it together. You make it seem doable. 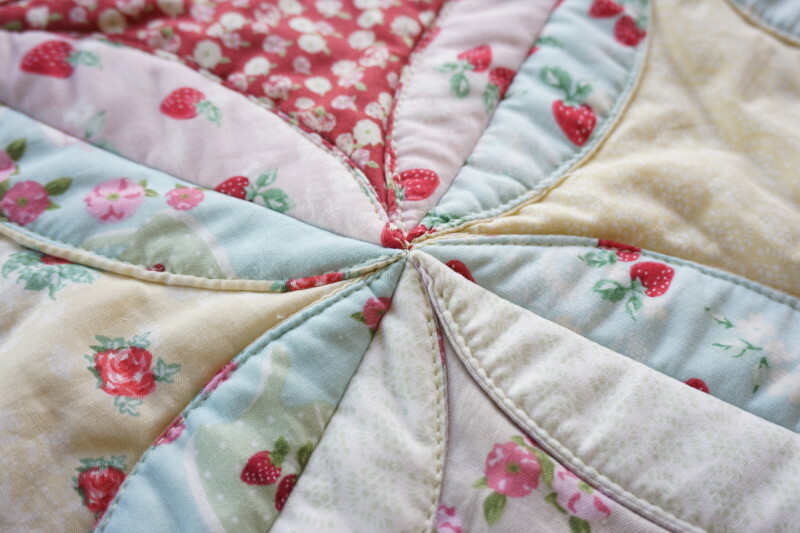 On another note I have made your high tea quilt and it is just beautiful. My favorite quilt I have ever made but without your video I would never have been able to make it so thank you so much! LOVE this! What are the dimensions of the finished quilt? Your quits are lovely. Thank you for taking the time to make the tutorial!